Former national juniors’ hockey goalkeeper Khaw Hock Seang from stopping goals from hitting the net, is these days putting fishes to his net. The relationship manager with RHB in Klang who turned 52 on Oct 8 was a former Selangor player who turned out for the National Junior World Cup Oceania qualifying squad in 1984. 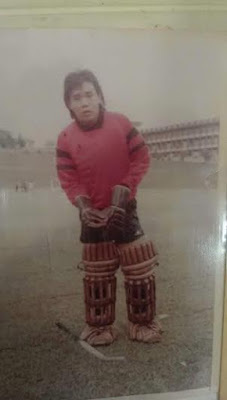 Khaw who hails from Penang, but studied at St Michael’s Institution in Ipoh, plied his hockey trade in Perak for a short period before moving to play for Selangor and now resides in Klang. Since he quit playing hockey ending his career for his employers UMBC in 1991, he has turned to fishing for his ‘kicks’ – a hobby which he has had since his schooldays. 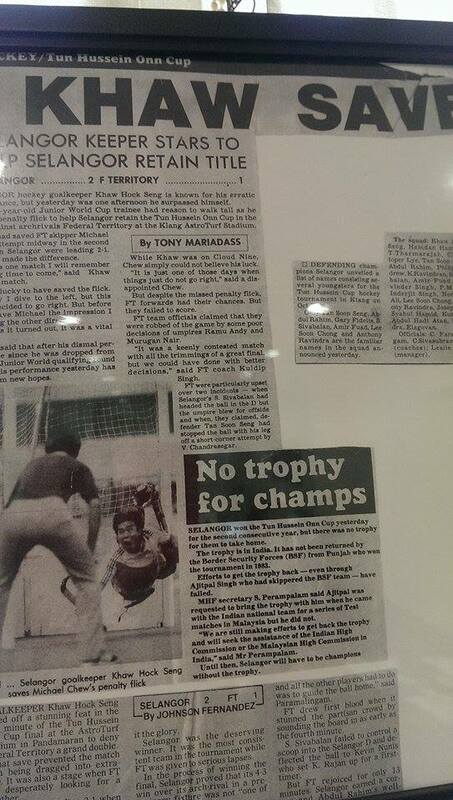 Khaw who once was stopping goals from getting past him into nets, was a member of the Selangor Razak Cup champion squad in 1984 and Hussein Onn Cup champion in 1987. What started off as a weekend pastime, fishing has now become an obsession for him having to head out to fish every Saturday, Sunday and holidays. 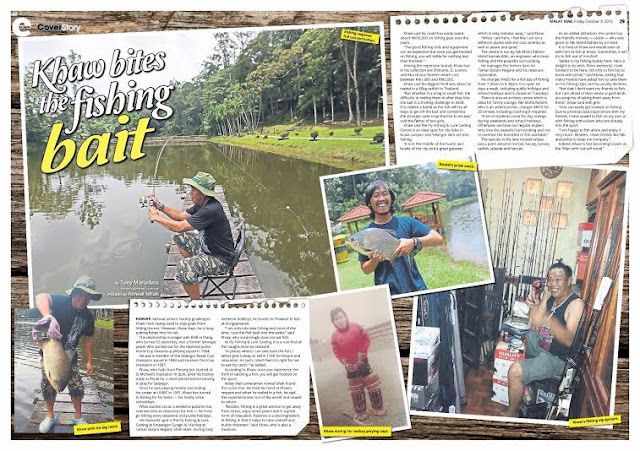 His favourite place is at the Fly Fishing & Lure Casting, at Empangan Sungei Air Kuning at the Taman Botani Negara in Shah Alam Seksyen 8, while on long weekend holidays he travels to Thailand to fish at Bungsamaran. “I am only into lake fishing and most of the time put back the fish into the lakes,” said Khaw who surprisingly does not eat fish. At Fly Fishing & Lure Casting, it is a rule that all fish caught must be released back into the former dam. 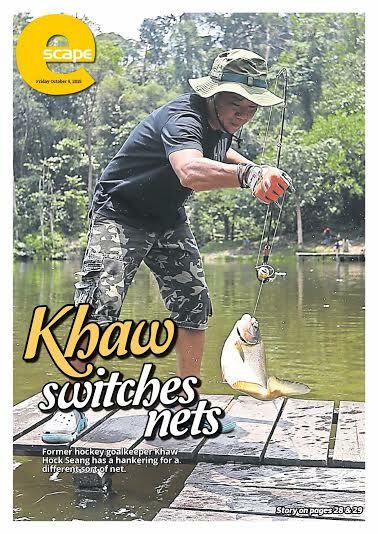 “At places where I can take back the fish, I either give it away or sell it off,” said Khaw. Khaw said the thrill of catching a fish was something once someone experiences, will immediately get hooked to the sport. Indeed it is was Mailsport cameraman Azneal Ishak tried his hand at the request of Khaw and immediately reeled in a fish and said that the experience was ‘out of the world’ and vowed to return. “Besides fishing is a great way to get away from stress, have peace and a great form of relaxation. Patience is a vital ingredient in fishing and this helps calm oneself and builds character,” said Khaw a musician too. Khaw said over the years, he would have easily spend about RM30,000 on equipment for fishing. 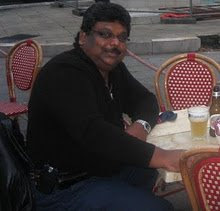 Among the expensive brands Khaw has in his collection include Shimano, G. Loomis and Abu Gracia Sweden which easily cost anything between RM1,000 to RM2,000. 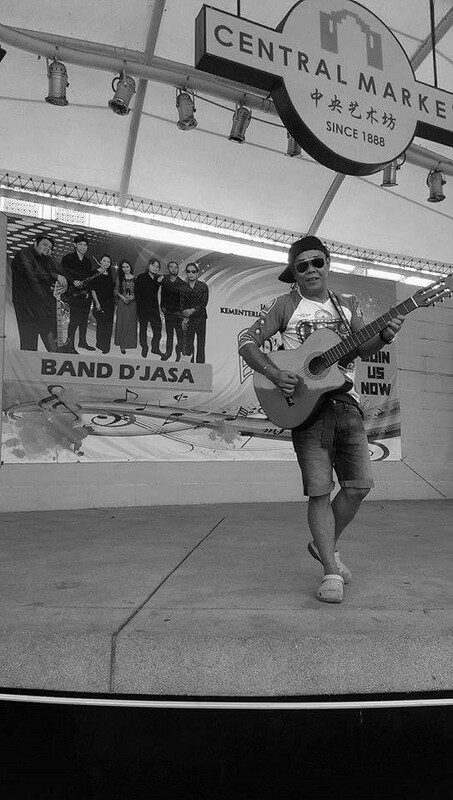 Khaw said that his biggest thrill was when he reeled in a 60kg catfish in Thailand. “But whether it is a big fish or small fish, the difficulty to reel them in after they bite the bait is a challenge and thrill by itself. It is indeed a battle as the fish will try all ways to get off the bait and sometimes the stronger ones with snap the line to escape,” said the father of two daughters - Sheela and Gautamaraj. 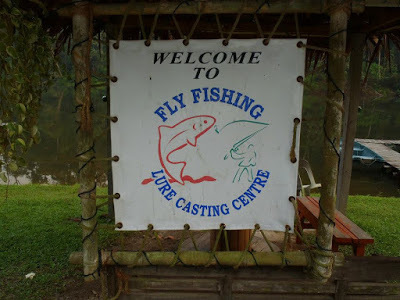 Khaw said that the Fly Fishing & Lure Casting Centre is ideal spot for city folks in Kuala Lumpur and Selangor who are into fishing. 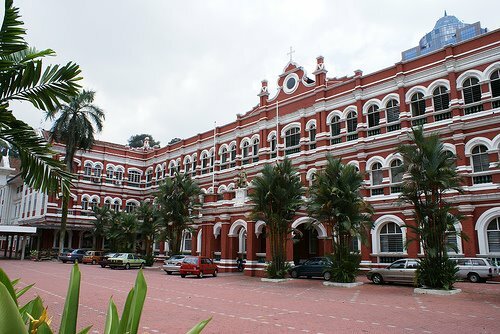 “It is a centre right in the middle of the hustle and bustle of the city and a great get away which is only minutes away,” said Khaw. 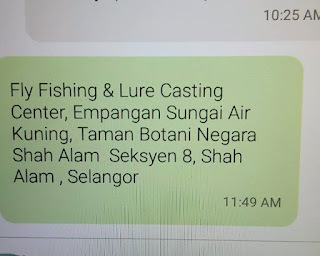 The centre is run by Nik Mohd Rahimi Mohd Kamaluddin, an engineer, who like Khaw loves fishing and the peaceful surrounding. 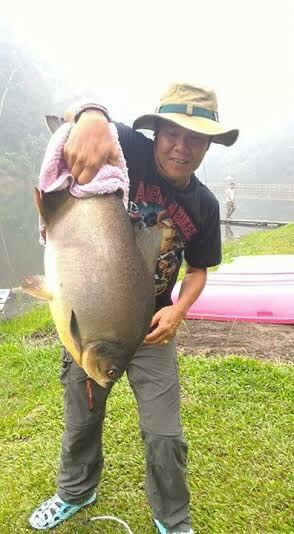 He manages the former dam for the Taman Botani Negara and charges very reasonable rates. 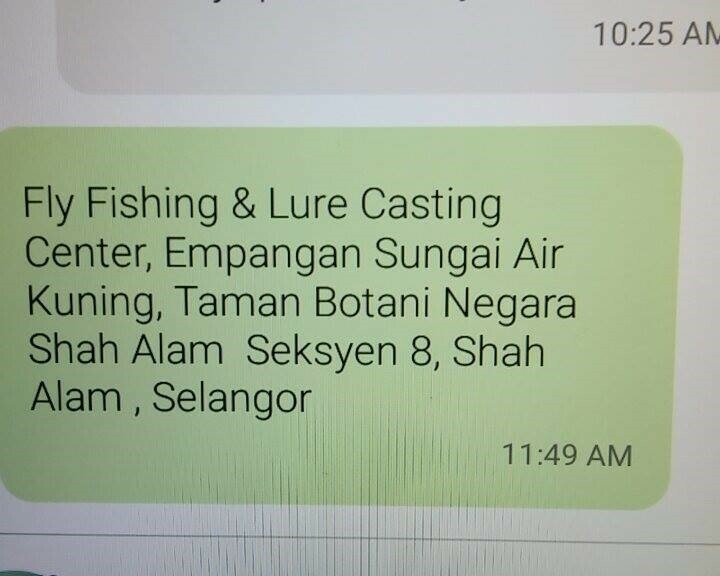 He charges RM30 for a full day of fishing from 7.30am to 6.30pm. Operates six days a week and is closed on Tuesday and opened on public holidays and school holidays. The centre also has an archery centre to make a family outing site. For archery, Nik charges RM10 for 20 arrows which includes coaching if requires as Nik is an ardent archer. Among the fish in the lake include talipa, pacu, patin amazon red tail, baung, toman, catfish, jelawat and haruan to name a few. 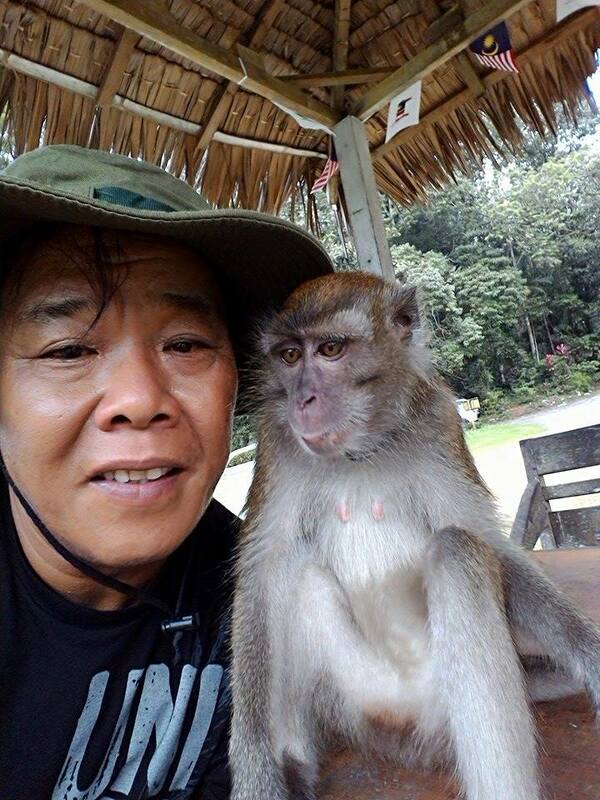 As an added attraction the centre has the friendly monkey – Jackie – who was given to Nik by a friend. 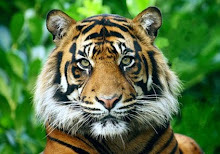 It has a special attachment with Khaw and would even sit with him to fish at times and sometime in his mischief will even try to fish by itself. 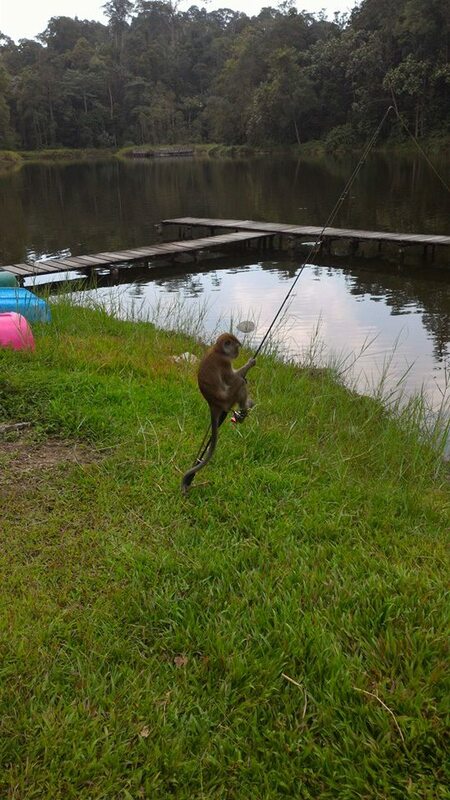 “Jackie is my fishing buddy here. He is a delight to be with and I look forward to every weekend to be here not only to fish but bond with Jackie,” said Khaw. Khaw said many friends have asked him to take them fishing with him, but more often than not declines. “Not that I do not want my friend to fish, but I am afraid of my friends’ wife or girlfriends accusing me of taking them away from them, said Khaw with grin. 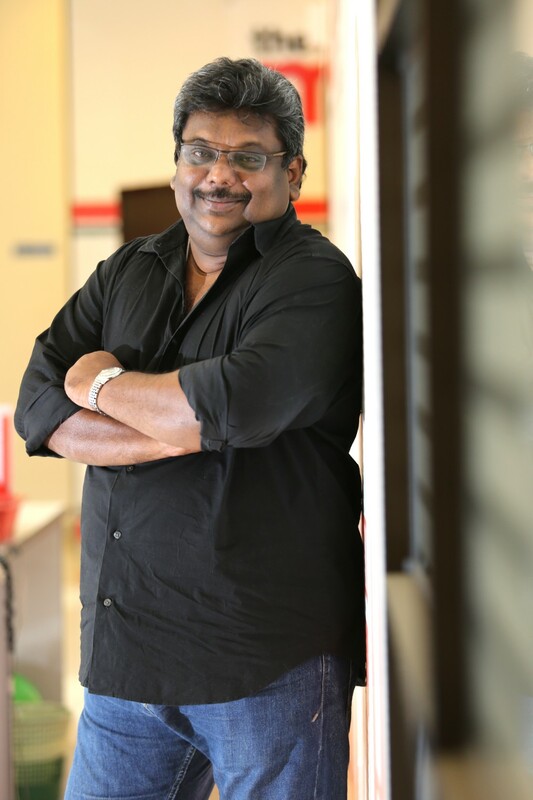 “One can easily get hooked with fishing and from some of my bad experiences previously with my friends, I have vowed to fish on my own or fishing enthusiast who are already fishing.